The Story: Maisy Mouse and her friends decide to go camping and after several attempts they finally manage to put their tent up. After a sing song around the camp fire they decide to go to bed but it isn’t easy to fit five animals into a small tent, especially if one is an elephant! 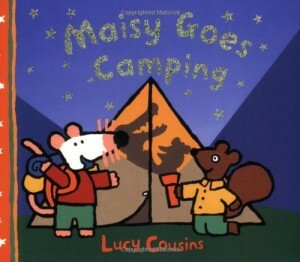 I really enjoy the Maisy books and agree with the review that the themes reflect everyday activities children can easily relate to. The illustrations and coloring are engaging and vibrant as well! 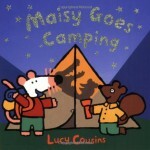 Maisy on DVD was also a favourite when my daughter was younger.